Bringing smooth summer vibes and classic R&B flavours, CORES joins forces with Maz for latest joint ‘Depend On Me’. 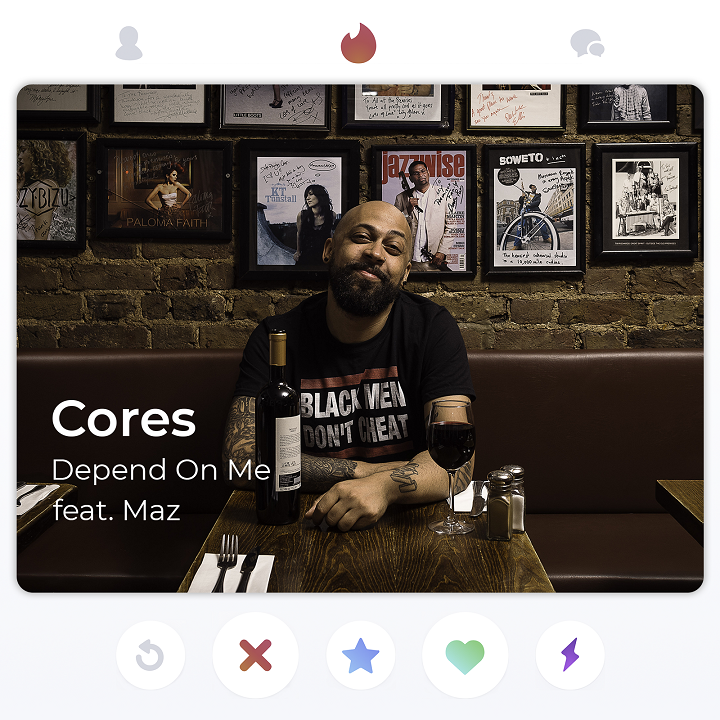 Produced by Cores, ‘Depend On Me’ puts a 2018 spin on the Teedra Moses’ 2009 hit single ‘Be Your Girl’. Combining vibrant drum patterns with the mellow tones of Cores and Maz’ silky vocals on the hook, the lyrics detail the peaks and troughs of a relationship and wanting to ‘have your cake and eat it too’. This tongue-in-cheek track does have a deeper layer to it though, exploring the idea of fear in love and relationships. Having spent the early 2000’s in the influential pirate radio crew ‘Haunted House Production’s’ the producer and emcee is verified in his authenticity. Flash back to Professor Green’s 2006 standout record ‘Upper Clapton Dance’, which featured the man himself, not only on production but laying down the final verse too. Although CORES honed in on his production craft, which awarded him with a string of ground-breaking records including Adamhood from the film Adulthood, Keep Moving by Paloma Faith, Bashy and Adam Deacon (from the 4, 3, 2, 1 movie soundtrack), and most notably as Executive Producer across all of Professor Green’s albums to date, his love and talent for emceeing has always remained burning bright.